I’m thrilled to have so many wonderful friends who come play with the band… and comprise “the boys in the band” in which we fill many different needs for music! We play every Tuesday evening… at our beloved Pub- St. Stephen’s Green Public House – in Spring Lake Heights, NJ from 7 to 10 PM. We’re proud that we’ve been there since the night they first opened – about 10 years ago, with only a few Tuesdays cancelled due to snow, or Hurricane Sandy! Jennifer grew up in a musical family, and there was always music in the air. 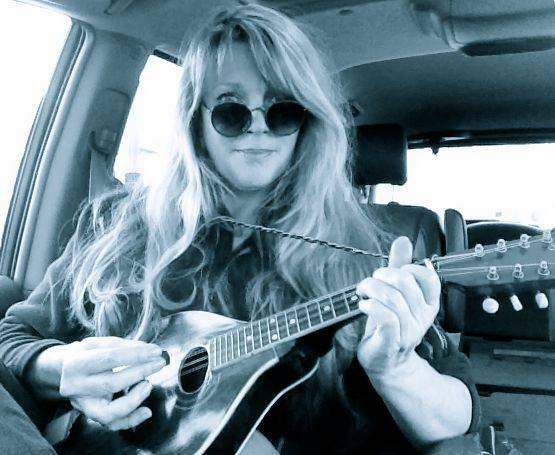 Jennifer quickly fell in love with the words & rhymes of Simon & Garfunkel, the passions of Johnny Cash & Tom Rush and Karen Carpenter… and learned to see the beauty & simplicity of the earth, through the lyrics of John Denver & Judy Collins. These influences greatly spurred her creative nature to write… which still haunts her to this day, as lyrics, images and concepts flood her days. The baritone uke, guitar & mountain dulcimer were her first instruments at a very young age… but Jennifer’s classical music training began with the cello in elementary school. The soulful depths and tones drew her even more towards this instrument and she played all through school and college, and was eventually a member of a small Baroque orchestra, and also joined a local Adult Orchestra years later. Moving out of the area, kind of daunted the classical direction for Jennifer, and she shifted her attention to playing fiddle, which she jokingly admits is MUCH easier to travel with – & fit so much easier into the car. It was the patterns & lilting phrases of traditional Irish melodies that caught her attention, and became her new direction for musical passions. She plays fiddle solely by ear, and believes Irish music is best that way, as sheet music is playing with your eyes… where as playing by ear -is from your heart… which lets the passion shine through. Jennifer always says – play with passion… or don’t play at all. Jennifer”s first original cd entitled “At This Moment” was released in 1999. This is comprised of all original, contemporary, folk songs with a twist of Celtic. In 2006, Jennifer & her husband Philip were hired by the History Channel to provide part of the musical soundtrack for an Irish documentary , entitled “Paddy Whacked – The History of the Irish Mob” based on a book by T.J. English. They provided 6 musical tracks for this documentary which has been broadcast yearly (usually around St Paddy’s day) and sold as DVD’s. Being industrious, they took the tracks for this project, and recorded a few more traditional songs and added it to the mix – and released their second cd – “Melodic Isle” in 2006. 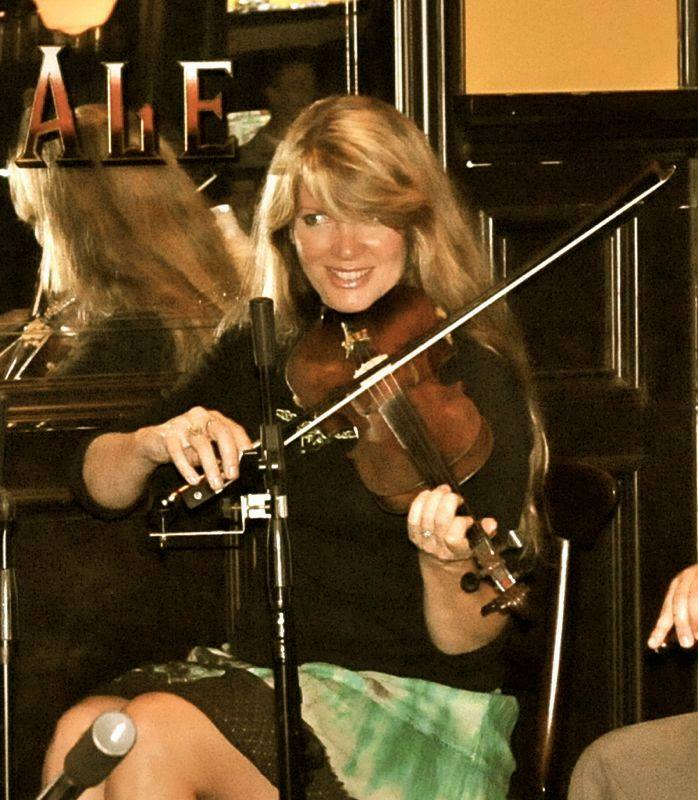 Jennifer taught Irish fiddle lessons at a local Irish dance school, but in 2003 left there to began teaching private fiddle lessons, and continues to do so to this day Jennifer has been a fiddle, and Mt. 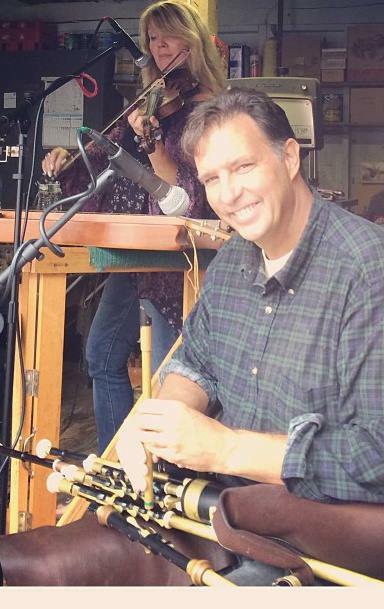 Dulcimer instructor at local music festivals, and truly enjoys teaching, and connecting with students. She is sensitive to her students, and their own unique abilities… and tries to draw out the good qualities they hold… and teach them accordingly. She also performs regularly as “Jennifer Mylod & the Boys of County O’Cean” at various Irish Festivals up and down the east coast, and are the annually featured band – at Kirby’s Mill Annual Apple Festival – in October… for the past 9 years… located at the main stage – (the big red barn). Here’s the link: 35th Annual Kirby’s Mill Apple Fest… though it’s updated each year. It’s somewhere around 10 years ago that Jennifer and her husband Philip were hired to play traditional Irish music – at St. Stephen’s Green Public House, in Spring Lake Heights. They can be found there… year round, every Tuesday evening from 7 to 10 pm. Philip has a fond appreciation and bond to his family heritage, which traces back to County Kildare, Ireland. It is in this tradition that Philip plays the music including the Irish whistle, flute, bodhran and dearest to his heart, the Uilleann pipes. 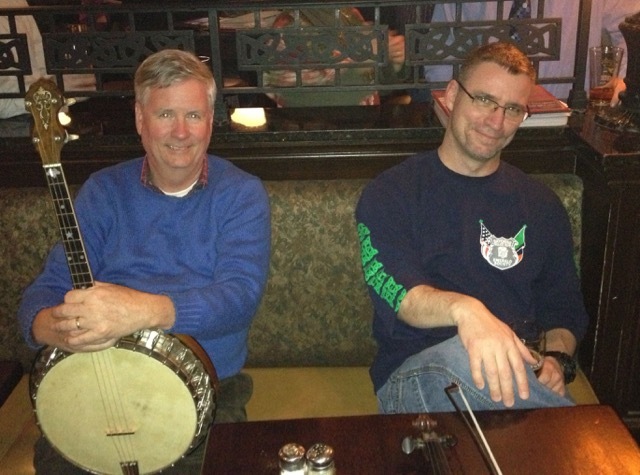 Philip firmly believes you can not truly play Irish music unless you listen to Irish music. Initially drawn to Uilleann pipes by listening to the old Planxty recordings, and the piping of Liam O’Flynn, Philip set off to learn the pipes after hearing an inspiring live performance by the great Jerry O’Sullivan. The Uilleann pipes are said to be the most difficult instrument to learn, yet Philip considers it a wonderful, musical journey that supercedes the importance of the destination.Philip plays a full set of pipes, hand crafted by the late Dave Williams. His chanter is made by Martin Preshaw of Ireland. Philip has studied for years, under the skilled instruction of world class piper, David Power, of Waterford, Ireland. It’s been a soulful journey for Philip, where mastery is always the goal. The Pipes bring with them much frustration yet this is countenanced with musical moments of joyous celebration of tonal harmony which he feels, no other instrument can muster. Philip’s favorite teacher and fiddler, is his wife Jennifer. Together they join their love for each other- and their music – resulting in a highlight of passion that few musicians can achieve. Together they host play live, Irish session style music at St. Stephen’s Green Public House in Spring Lake Heights, NJ. *Eric sang the harmonies with me on the newly released cd “Shadow of a Crow” and his complimentary harmonies are a perfect addition to many songs. He’s an awesome and energetic catalyst – to the band! 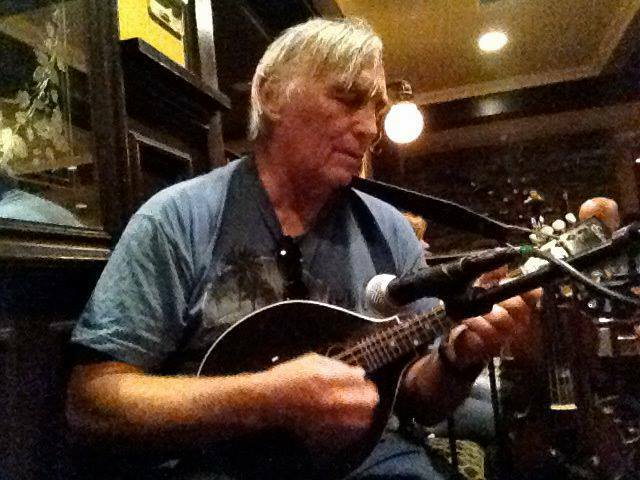 A sparkling, lively mandolinist. Bob is also occasionally on fiddle, guitar & bouzouki. He’s a wonderful addition to the band… complimenting the tunes and songs in a gentle, easy way. Bob’s quick to smile, and his good humor and easy disposition – make everyone feel at ease! Bob’s a joy to have with us! Share the post "Musician’s Bio’s"
Love the new SITE!!!!!!! Beautifully done by Abs!!!! !